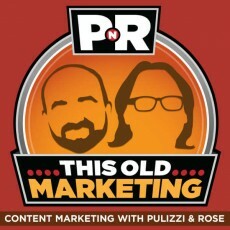 In this episode, Robert and I speculate on SlideShare’s decision to make certain Pro features available free of charge, and comment on Clay Shirky’s assertion that newspapers are “dead men walking.” We also applaud Yahoo’s decision to launch “content box” native ads, discuss why marketers ought to view content creation the way a news editor does, and provide an update on the lawsuit “patent troll” Personal Audio launched against podcaster Adam Carolla. Our rants and raves include Facebook’s recent moves to tag satirical articles and bury “click-bait” articles in users’ news feeds, plus Coin’s recent gaffe that has beta testers upset. We wrap things up with this week’s #This Old Marketing example, which comes from Endless Vacations. SlideShare Makes Everyone a PRO User (3:10): SlideShare announced this week that it is making certain PRO features free to all users — including its excellent lead generation tool. However, the move isn’t pure altruism: According to the FAQs for SlideShare PRO, LinkedIn (which owns SlideShare) plans to roll out an enterprise lead tool next year. Robert and I theorize on what this might mean, especially in light of one of LinkedIn’s recent acquisitions. Clay Shirky Says It’s “Last Call” Time for Print Newspapers (8:16): Author and internet pundit Clay Shirky recently posted his assertion that printed newspapers are dying, even though the industry still insists on qualifying any coverage of itself by saying, “The future is unclear.” What we found most surprising about the discussion is how ignorant reporters seem to be about the condition of the companies at which they are employed.Yet, Robert and I see this same phenomenon happening in marketing departments at organizations of all sizes. Given this experience. I present one business model that newspapers could employ to survive. Yahoo Debuts Its Native Ad Network (18:15): Last year,Yahoo debuted a “content box” form of native advertising on its own web properties, which closely resembles Facebook’s Sponsored Stories in that it refashions display ads as content links within its sites’ content streams. Now Yahoo is extending these ads to other publishers, according to an AdAge article. Robert and I offer our thoughts on why this is a very smart move on Yahoo’s part. To Uphold Content’s Reign, Find Thyself a Good Editor (23:05): Content is only worthwhile if it has a skilled content editor to establish a fair, consistent point of view and set high quality standards for content and storytelling, according to this article from eConsultancy. This description aligns with what Robert and I have been saying for some time now: Start with crafting an excellent story, and then decide which media should be used to distribute it. Adam Carolla Settles Lawsuit (29:39): Last week, Mashable reported that podcaster Adam Carolla has agreed to a settlement with Personal Audio, a “patent troll” that claims it owns the rights to podcasting. Carolla took a stand on this issue and raised an estimated $450,000 from his fans to fight Personal Audio. Yet, in an earlier article published in July on ArsTechnica, Personal Audio claimed it tried to drop the lawsuit after it discovered that podcasters don’t make as much money as it assumed. Robert offers his predictions on what’s likely to come next for this troublesome legal issue and for the future of podcasting, as a whole. Joe’s Rant/Rave: According to an article on the website of The Independent, Facebook plans to experiment with tagging articles from The Onion as satire, so people stop falling for its jokes. I think this is a bad idea, because it positions Facebook as an arbiter of content for its users — a slippery slope that will probably not end well for anyone involved. On a related note, Facebook also announced that it plans to adjust its news feeds to reduce the number of “click-bait” headlines that get displayed. Robert and I applaud the social network for this excellent move, and explain why we feel this way. Robert’s Rant: Last November, a start-up called Coin announced a “credit card of the future” that promised to replace up to 8 credit cards. Beta testers were supposed to be able to purchase Coin starting this month, with a full product launch expected in early 2015. However, this week, the company announced that Coin won’t be available until some time next year, and it will cost beta testers more to get their hands on one. Robert offers his thoughts on Coin’s inept handling of this delay, which has caused a huge consumer backlash. 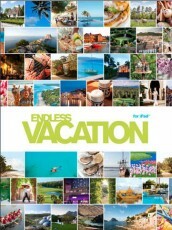 Endless Vacation: RCI, the world’s largest vacation timeshare property network, publishes the Endless Vacation website and print magazine. Endless Vacation articles don’t tout RCI’s services, but instead focus on sharing inspiring travel experiences. The magazine is sent to over 1.75 million members of RCI and its partner networks; plus its eNewsletter has over 1.25 million opt-in subscribers. 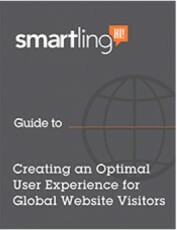 It’s an excellent example of content marketing in the travel and tourism industry.